These days, the concept of restorative ocean farming is gaining traction in many places. This sort of farming actually revitalizes degraded or dying ocean ecosystems by creating seaweed groves that become nurseries and sanctuaries for many marine species. These farms combine kelp and mollusk production along with fish. Some of these farms produce prodigious amounts of foods in their operation. Farming kelp is becoming increasingly profitable as Americans are starting to add it to their diets in multiple ways. And beyond consuming kelp as a food or food additive, there is interest in producing biofuels from kelp. Kelp helps to combat two of the biggest threats to life in the seas. The first, ocean acidification, is endangering many kinds of marine life. Kelp gobbles up carbon dioxide at five times the rate of land-based plants, helping to locally mitigate acidification. The second is the overabundance of nitrogen-rich nutrients in the water, from agricultural runoff and point-source pollution from facilities like sewage treatment plants. 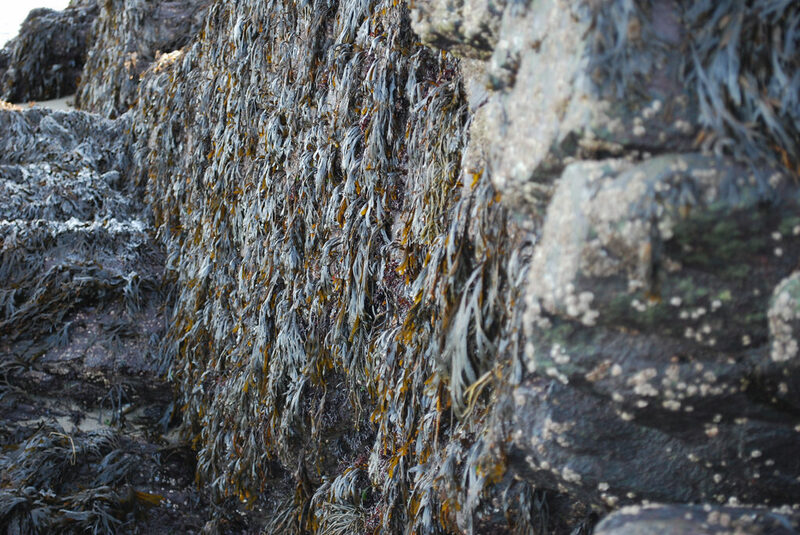 Both shellfish and fast-growing seaweeds like kelp can extract large quantities of nutrients and nitrogen out of the ocean. Restorative ocean farming is fairly low-tech and has no need for agro-chemicals, fertilizer or antibiotics. These engineered ecosystems containing kelp, bivalves and fish are actually attracting crabs and other invertebrates and marine plants. Instead of degrading marine ecosystems in our quest for food, this new form of aquaculture may actually help save the oceans of the world. Photo, posted November 29, 2009, courtesy of Seth Glickman via Flickr. ‘Restorative Ocean Farming’ from Earth Wise is a production of WAMC Northeast Public Radio.